I made my first paid marketing decision. 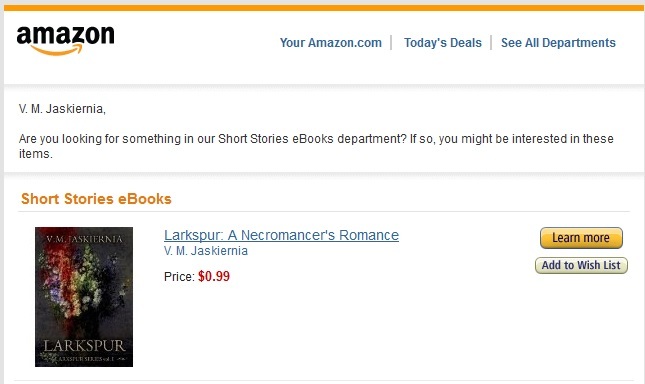 For the next two weeks Larkspur will be on Digital Book Today’s romance page – http://digitalbooktoday.com/romance/ Hopefully it’ll bump it back up to a more steady flow of sales. If not that, the release of Delphinium should help. I am writing Delphinium, slower than I’d hoped, but it is on its way. So far I still think I can hit the scheduled release date. Have a fair amount of homework to do today as well, so I’ll be busy with one or the other. (Was going to wait until I wrote today’s 3K, but I’ve barely started.. so I’m going to do this and then go write). I’m told this is a thing! So Delphinium’s going to be released on June 20th, and as a part of my ‘you have to do it, people know’ plan, I’ve also set up a Facebook Event. It’s open to the public, anyone can join, and I freely encourage questions and/or chatter. 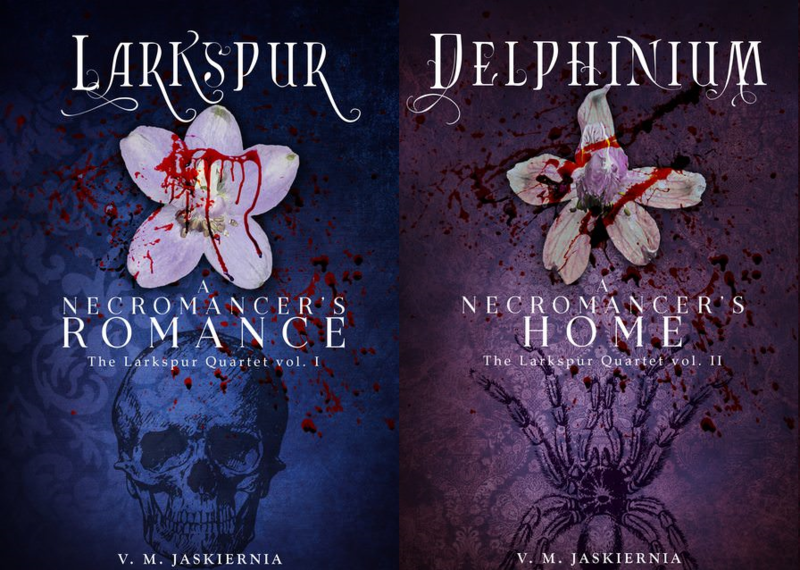 I’ll probably work out a thing where I give away a free copy or two, maybe of Larkspur and maybe the upcoming Delphinium. Please do join, and ‘invite’ anyone else who might be interested or interesting! KDP Select ends on Larkspur the 21st, and so for the last two days (20th and 21st) I’m going to have Larkspur set to FREE. By that point I want there to be a link in the back pointing to Delphinium (which will NOT be in Select). After the 21st I’ll put both books on to other platforms like Kobo and B&N. I’m writing this post for two reasons- hype, and motivation. The only reason I managed to get Larkspur done is because I set a publish date and *had* to stick to it. So I’m going to do this again with Delphinium, knowing there are at least a few folk who are waiting for the release.